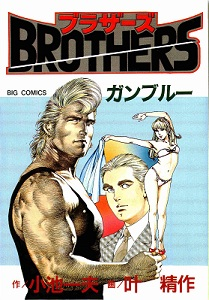 Brothers is the name of a trio who use their incredible gifts to accomplish seemingly impossible missions. Not part of any government organization, they work privately for large sums of money. Their leader is Macky Pluto Kara who has a brilliant mind. The other two are HEM, Homo Electric Mechanics, which means that although they are alive, their cells are made of silicone instead of proteins which all humans are made of. It makes them nearly invincible and allows them to have superhuman powers. Rickey Neptune Kara is a clone version of Macky while Memory is a female HEM who Macky also created. The Brothers are untouchable, even by the CIA, and carry out difficult tasks for their own benefit. 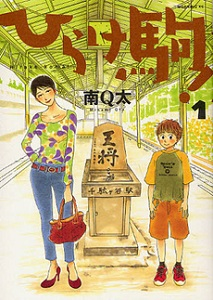 Takara, a young boy who lives with his mother, has an unusual gaming addiction for a child: shogi! Takara is a friendly, cheerful, quiet boy who spends much of his time studying shogi or playing matches with various people, many of whom are adults. His mother supports him in his interest, and Takara continues to learn about the game of shogi and the people who play it! 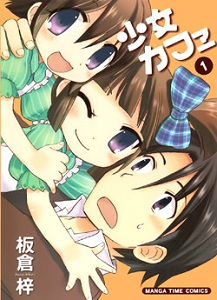 Hayase Hitomi is a high school girl who has been in love with her older brother, Hijiri, since they were children. Hijiri is currently in college, studying to be a teacher. 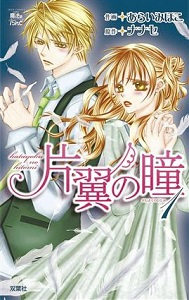 In an attempt to get over her brother, Hitomi ends up dating Kazuki, an older boy she meets in a karaoke group outing. Kazuki is very physically pushy, but Hitomi assumes this is normal when people date. However, their short relationship ends with an unmistakably criminal violation of Hitomi. Now, she keeps the reason for her pain secret from the people who care about her. Things only get more confusing when her brother and his classmates from college arrive to student-teach at her school. The student teacher in Hitomi's classroom is Ayane, a pretty young woman who clearly likes Hijiri. Will Hitomi be able to sort out her feelings for her brother and overcome the trauma of what was done to her? 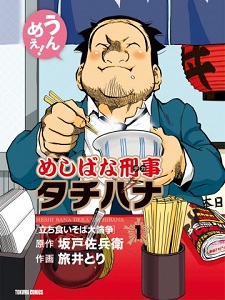 Detective Tachibana knows an awful lot about food (specific kinds of curry, ramen, fried chicken, soba...), and talking about it at great lengths has gained him the nickname "Meshibana." He's able to open up uncooperative people under questioning, simply by telling food-related stories or having in-depth discussions about specific restaurants or food. His constant food-talk can win him friends at work, but it may also rub some people the wrong way. It seems like everyone who talks with him ends up feeling hungry! This is a story of the life of Oda Nobunaga. The story starts in 1560, before an impressive battle where Nobunaga's forces were severely outnumbered by his enemies, the Imagawa clan. The story then begins to jump back to earlier times in his life, in the 1550s and 1540s. 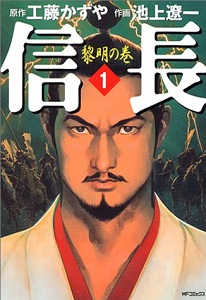 Through this manga, one can learn of Nobunaga's military, political, and personal life, and how he came to shape the history of Japan. Café San Francisco was named after the city Ichiro and his wife Machiko fell in love with when they went on their honeymoon. But when she suddenly passes away due to complications with her health, Ichiro’s five year old twin daughters volunteer to work at the store just like mom used to. Tsukushi is the reliable and mature one who looks like her mom while Mio is the clumsy and spacey half who gets her looks from her dad. The news of adorable five year old waitresses bring lots of business to the café including Hazuki, Machiko’s long time friend and friend of the family, and Miyajima, a college hopeful studying for his entrance exams. Together, they become a close group that spends their days at the café, enjoying each other’s company. All is going well for 25 year old young professional Ugata Riichi. He's steadily working his way up the corporate ladder, and he has so many girls that keeping track of them is a job in and of itself and everything else is in the up and up. So he doesn’t think twice when two new women enter his life. His new cute coworker, Isobe Ten, is quiet, stoic and is cold towards Riichi. On the flipside, Ren, a school girl he met on the train under weird circumstances, is overly friendly, loud but has that raw sexual energy. These two women are about to turn Riichi’s life upside down and bring him a whirlwind of problems while emotions explode every which way. Tokyo Police Department’s Cybercrime Division is headed by the young, brilliantly ruthless Yoshino Erika. Her track record has been solid, but when a new threat appears online, it starts making all the headlines. 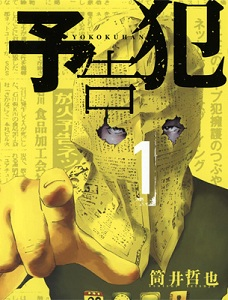 A man who goes by Shinbunshi, because of the newspaper mask he wears, begins acting as a vigilante of justice. His message is simple: he can see what is wrong with society right now and although he doesn’t have the power to change it, he can help the frustrated citizens release their pent up anger from the crimes that go unpunished like people treating others like trash, corrupt government pushing their weight around and other issues the typical person has no control over. Although it starts relatively harmless, it quickly snowballs out of control thanks to the power of social media and the Shinbunshi becomes an overnight internet sensation with the severity of the crimes exponentially increasing. Yokokuhan - sooooo amazing. brilliantly constructed story that keeps you glued to the pages. It doesn't do it justice but if I had to compare it, it would be a similar story to Death Note. If I had to recommend any series from the past few weeks, it would be this. W-Name - Romance series for young adults but easily readable for both males and females. I really enjoyed the mystery surrounding the characters that slowly gets revealed and unravels around the main character. And since the series ended, you can happily read the entire story instead of waiting for a new chapter. Really awesome read. If you haven't done so already, check out the scanlations of the mangas from previous shout outs which have been recently scanlated: mature sci-fi Terra Formars (MH link), comedy Hime Hajike (MH link). Yokokuhan (予告犯) == kinda similar to AKUMETSU . really interesting. Meshibana Keiji Tachibana (めしばな刑事タチバナ)== funny one .